Oh Kate Middleton… The Duchess of Cambridge… I don’t even know where to start! I. just. simply. ADORE. AND. WORSHIP. yoouuu! In fact, I don’t even care about Prince William anymore! (Haha, peace!) But seriously, is there an opening to be one of your ladies-in-waiting? Sigh. …and of course, your ROYAL FASHION SENSE! Oh diba? Mag-dress man o pants ang reyna niyo, bonggang-bongga parin! Having killer looks and towering at 5’10”, honestly, if she weren’t England’s future queen, I think she’d be a great Miss United Kingdom! Yung tipong pang-major, major! 😛 But then again, why be a BEAUTY QUEEN when you can be a REAL-LIFE QUEEN? Kaya Kate (yehesss, feeling close! ), award talaga!!! ♪ Am I crazy or falling in love? February 16, 2010. What was supposed to be an ordinary work day, turned into a conversation rich in art and full of wisdom. It started with the street of General Malvar that was filled with jeepneys, students, and whatnot. While I parked my vehicle next to a Chinese restaurant, I wondered if the owner or workers of that restaurant are even aware that the house next to them, so beautiful in its simplest sense, accommodates a Philippine fashion legend. 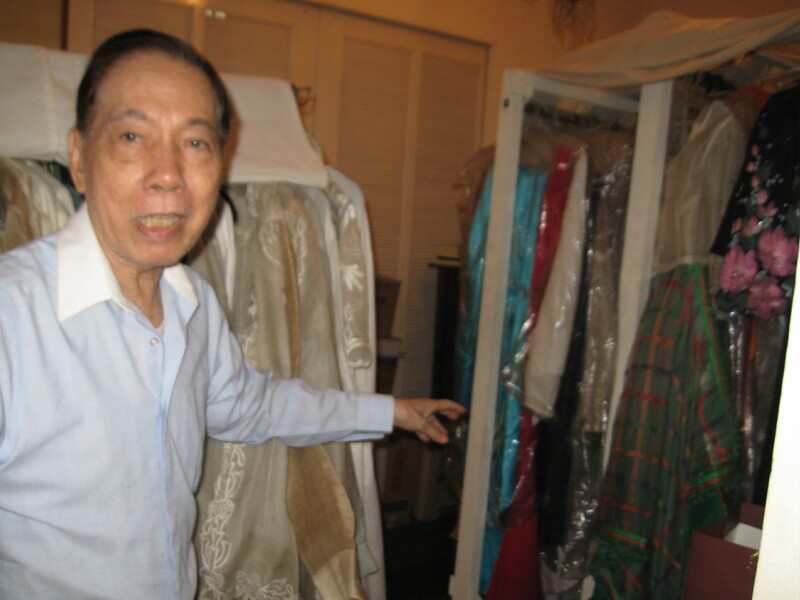 The Philippine fashion legend — Jose “Pitoy” R. Moreno. Beauty Queens. First Ladies. Royalty. These are just some of the big-time personalities who wore Mr. Jose Moreno, more known as “Pitoy,” in his more-than-sixty-years career in the Philippine fashion industry. A J. Moreno masterpiece has seen the world all over, and just owning one, especially for women, equates to an impossible dream made possible, a prayer answered, and a soul mate finally given after who-knows-how-long years of waiting. It is even an understatement to say that he is a legend in today’s Philippine fashion because his contribution to the field is that immense that writing about him in just a couple number of pages would not suffice to tell what needs to be told. But just like any great man, there is always a great story behind it waiting to be unfolded. With that being said, just imagine how giddy I was to finally meet the man I have been bugging for the last few days just so I can squeeze in with his already tight schedule. Thankfully, I had the help of a priest, Father Kevin McHugh, from Malate Church where my subject chooses to spend an hour or so of his precious nights with the Supreme Being. As a fellow parishioner, I have always seen Pitoy attending the 6:00 PM Mass of the church most nights, if not every night. So, finding out what he has to say about his shared relationship with Him was not a surprise anymore. “My relationship with God is very close. I talk to Him about what I need, what I feel, and what I should do. God has been very, very kind to me and I’m very thankful to God for He has given me more than I could ever wish for.” Pitoy said. On the day of the interview, I was given a glass of cold calamansi juice by the helper to ease up a little bit before my subject finally enters his own office — a room that represents how very Filipino Pitoy is, adorned with wooden furniture and the most unique chess set I have ever seen by far. As I waited, I tried to review again the facts I have gathered in my research. Finally, Mr. Moreno arrived and I offered my hand to greet him properly. Jose “Pitoy” R. Moreno was born on February 25, 1930 to Feliciana Reyes Barrientos and Jose Moreno Brodett, while he spent his childhood days in Gagalangin, Tondo, Manila. As a young child, he admits that sketching was definitely one of his hobbies. However, the dream of becoming an artist was still very far from his mind. In fact, he admits that not finding early on that he will be involved in the field of fashion was his bitter experience on designing itself. He recalled the moment where he thinks everything started, “I was always sketching and I always fixed up the house. The flower decoration, something like that. Nothing on the dresses yet. Until finally during the Japanese time. It’s very interesante. World War II truly proved to be a test to Pitoy as a young boy. But aside from discovering what he will do in the future, he developed a much stronger relationship with his mother. He mentioned, “I was my mother’s favorite. Compared to even Virgie because Virgie was always studying — she’s reading, I’m not a reader. I do sometimes but not like intellectual. “During the Japanese time, food was very rare. But my mother saw to it that I get the food that I like because if I don’t like the food, I push it. I don’t say anything but I cry. I’m so spoiled with food. That’s the only thing I’m spoiled with.” In fact, it was even because of his mother’s dresses where Pitoy began to realize that his calling has something to do with the Fine Arts. And getting involved with his craft was exactly what he did after the war. 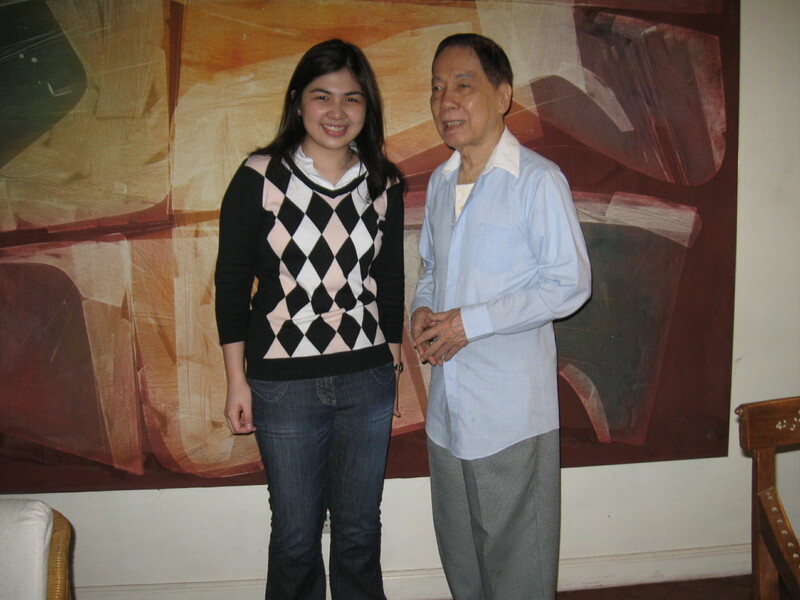 In 1951, Pitoy earned his Bachelor’s Degree in Fine Arts from the University of the Philippines. He remembers, “You know in the Fine Arts, of course, you have put all the best professors. You have Amorsolo, and all the best artists. So, you know you get a lot of influence from them. You see their paintings, you see their sketches. So, that’s when you start getting acquainted with good fashion. In the four years in UP as a student, I was already being asked to make gowns for my classmates’ events — senior prom, junior prom, graduation, or debut. I was given those images already. Not the best ones but totally good enough for me to learn the cycle of making beautiful clothes. Then they grew, and grew, and grew, after until we transferred to Diliman. Indeed, Pitoy was able to hone his craft during his stay in the country’s premier university with the guidance of mentors who specialized in the field, and of course, through the support of his classmates that eventually became his life-long friends. He mentioned, “Then afterwards, in UP alone, I had two or three shows — small shows with students and even with the professors. Sort of a school fashion, just like that. I think I had two or three fashion shows, small ones, but I got all my beautiful classmates to model. 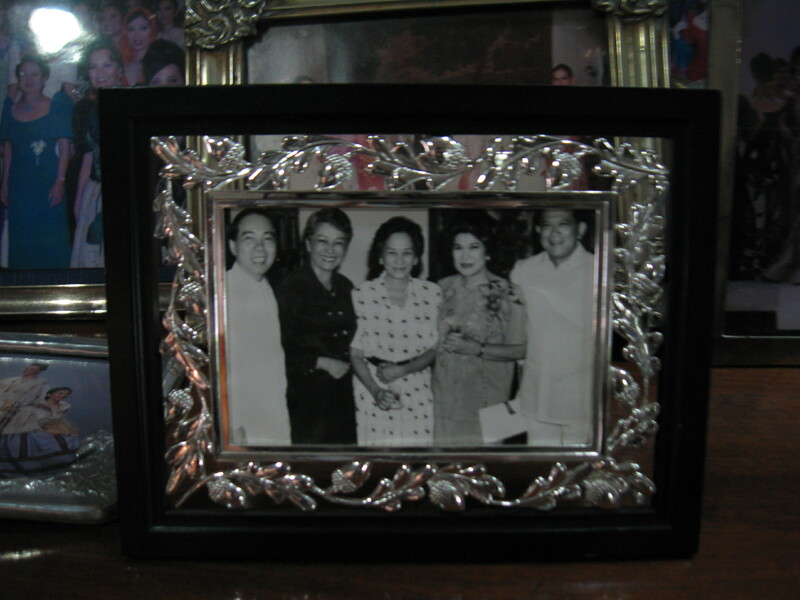 Name them – Celia Diaz-Laurel, Araceli Vidanes, and then the one who just died (Corito Araneta). There were so many. “Well, the popularity started. People kept on asking my classmates where they had their dresses done and they would all answer, ‘By Pitoy!’ So, that’s when the name ‘Pitoy’ came in. My name’s Pepito, not Pitoy. Well you had ‘Pitoy’ there, but I don’t know why, you know. So, I was able to enter the women’s dorm and fit them. 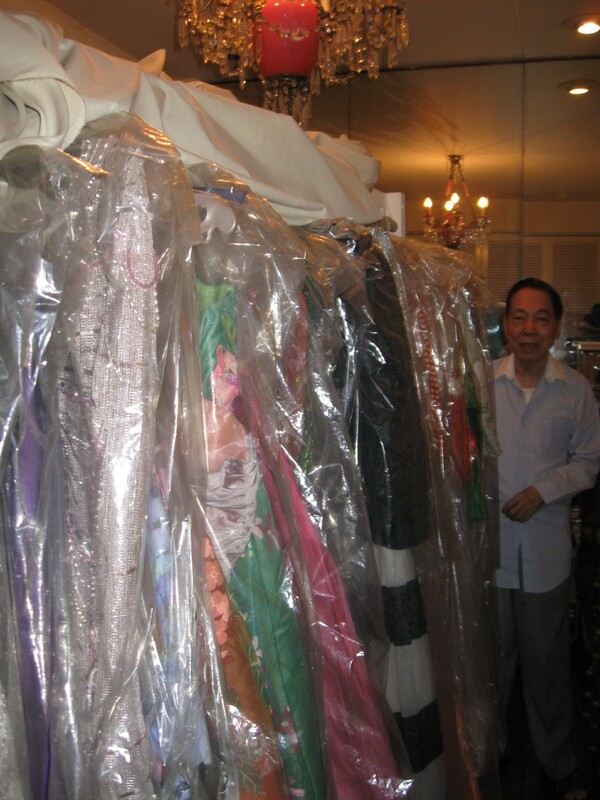 Of course, after his UP days, Pitoy eventually conquered the world by dressing very important people and with a career that spans for more than half-a-decade already, it is no wonder that Pitoy is called as The Fashion Czar of Asia for he has truly brought honor to the Philippines for introducing local materials such as jusi, piña, and lepanto to the international world of fashion. Aside from that, he has received numerous awards and recognition for his work including being featured in international magazines, receiving the 2008 Gawad CCP Para sa Sining award and most importantly, being one of the very controversial chosen few to be named as National Artist for 2009. He affirmed, “I don’t know how but you know, several years ago, they named a National Artist. And then everybody would make jokes, ‘You’ll be next! You’ll be next!’ I don’t really like bragging about those kinds of stuff. I’m very humble about those things. Even if you know, if you are single, you are beautiful, you say, ‘No, I’m not.’ But you enjoy the compliment. You enjoy it because you know it’s like the future to me. But it doesn’t bother me at all. It is a good thing that with all the ups and downs of both his personal and professional life, Pitoy remains to have a strong support system that consists of his family and friends. He even shared, “I’m very sentimental with friends and family. I’m like that. I’m very soft-hearted especially to those who are suffering. Because they were all very good to me, they’re all very nice to me; they go out of their way for me. I’m very sentimental and sensitive. Awarded or not, nothing can make Pitoy lose his focus for his eyes are fixed only on his work. In the early ’90s, he published two books, Kasalan and Philippine Costume, that both showcased how great he is with doing his passion in life. He stated, “My mind is always on my work. So whatever you tell me, I will forget somehow or another unless I see it again or my mind is there. Apart from that, Pitoy is also a philanthropist at heart. 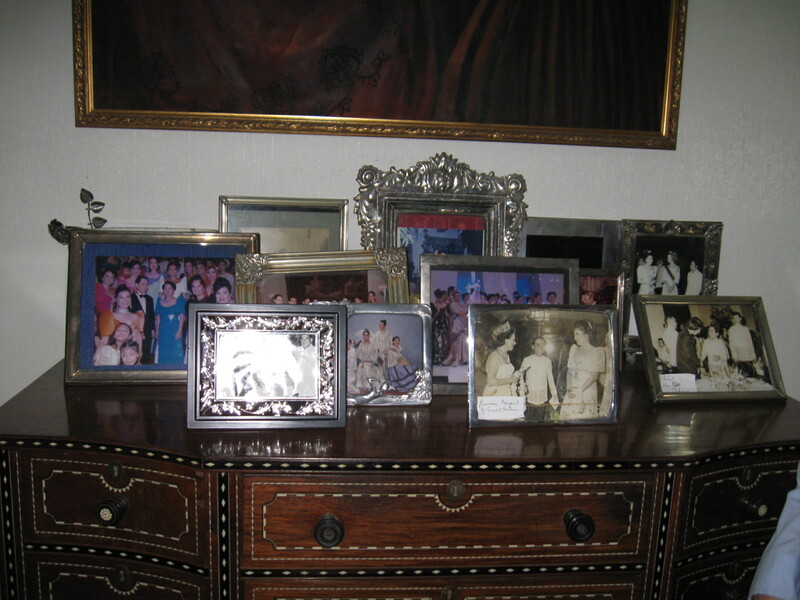 His own Jose Moreno Foundation has been funding student scholarships from the University of the Philippines School of Fine Arts and College of Medicine for more than twenty years now. Also, Pitoy admits that all of his fashion shows are fundraisers just like when he celebrated his Golden Years of the Art and Life of Moreno Fund Raising Tribute Show for Young Artists back in 2004.